During his career, Gaetano Pesce, the architect and designer, has designed public and private projects in the United States, Europe, Latin America and Asia. the entire of his work, he expressed his guiding principle: that modernism is a style unless a method to interpret the present. Born in La Spezia, Italy, in 1939, Pesce studied architecture at the University of Venice, between 1958 to 1963 and participated in Gruppo N, a group primarily concerned with programmed art modeled on the Bauhaus. Pesce's work is presented in 30 permanent collections of major museums around the world, such as MoMA in New York and San Francisco, Metropolitan Museum in New York, the Vitra Museum in Germany, Victoria and Albert Museum in London , Centre Pompidou and Louvre Museum of Decorative Arts in Paris; he exhibited in art galleries around the world. Gaetano Pesce (1939), dining room table, "Le Fablier" Edition, Signed: Pesce Le Fablier, Resin top and lacquered blackwood. circa 2010, Italy. 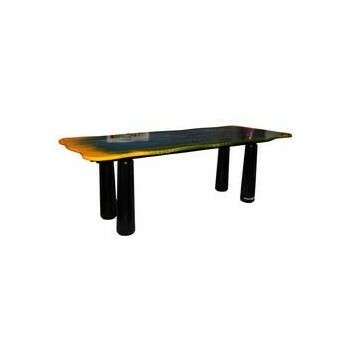 Measure: Height 75 cm, length 2m20, width 88 cm, depth top 3 cm. This model was exhibited at La Triennale di Milano in 2012. 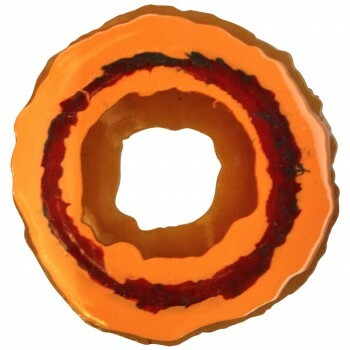 Gaetano Pesce, wall sconce, Meritalia production, edited by "The Pesce," polyurethane resin, circa 2000, Italy, piece unique. Dimensions: Height 90 cm, diameter 90 cm, depth 11 cm. 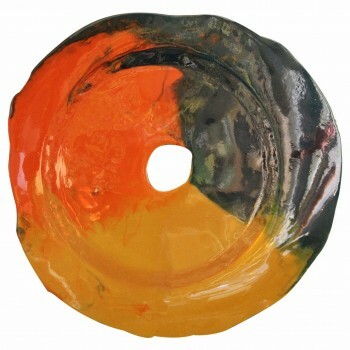 Gaetano Pesce, wall sconce, Meritalia production, edited by "The Pesce," polyurethane resin, circa 2000, Italy, piece unique. Measures: Height 80 cm, diameter 80 cm, depth 11 cm.